The secret is grass fed gelatin. Yep, by putting only natural ingredients into these delicious and healthy homemade snacks, you’ll be giving your family a healthy treat. 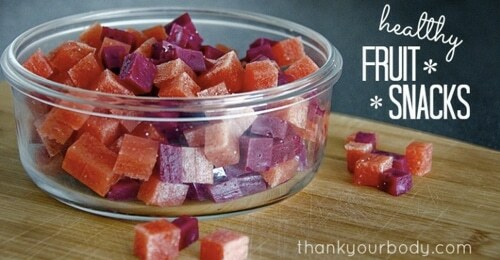 You can freeze them or keep them in the fridge for a long time. Mix and match your favorite fruits to create dozens of tasty alternatives to mainstream fruit treats.